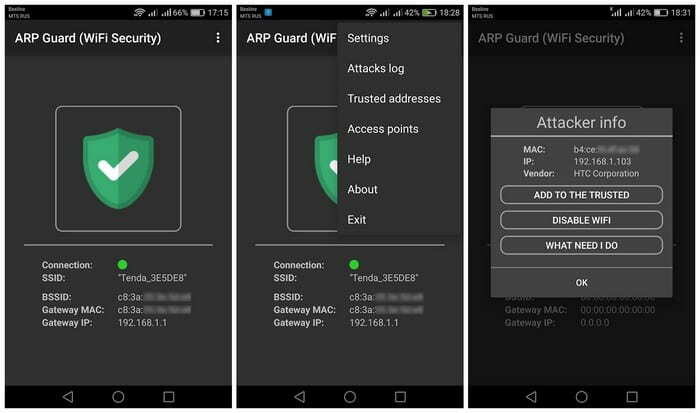 ARP Guard pro application is designed for anyone who is serious about the security of personal data and does not intend to tolerate such antics in open wi-fi networks. Many has heard about such things, as the session hijaking, wifi kill, steal cookies, or a spoofing of network traffic. It can be a long talk about what can do the dirty dog with necessary tools in open networks. Protection from any network attacks, beginning with the arp spoofing/arp poisoning. Three Program modes (warning, invulnerability, recovery). Auto Off Wifi when it detects an attack in non-root mode carried out on you (set out in settings). Notification about attack (vibration, sound, a notice containing information on the attack). When superuser mode is available to you, making your device immune to such attacks (using a static gateway address). There is no need of such like warning in this mode. 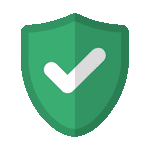 Functions of permanent job, allow you to add an application to the startup, as well as to prohibit the system to unload the program from memory. Once the application is launched, you can no longer worry about personal information. AD removal from the application.